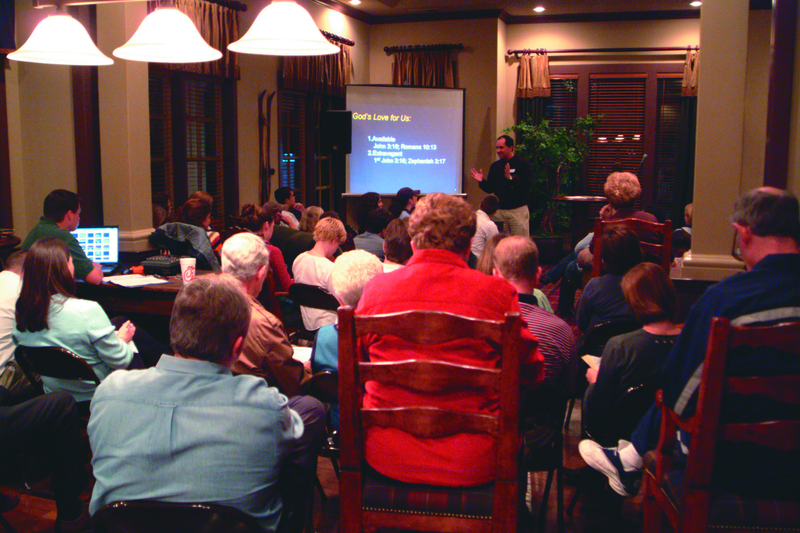 It was the fall of 2002 when our God called out 15 people to plant what is now “Rolling Hills Community Church.” This core team began to gather in the Alara Farms apartment clubhouse on Thursday nights to study God’s Word and dream about what church could be in our day and time. Over the next three months, God continued to bring people and clarity of vision. In January of 2003, Rolling Hills Community Church was officially launched. We moved to the Marriott Hotel in Cool Springs and began meeting on Sunday mornings. In the spring of 2004, through a series of miracles, we moved from the hotel ballroom to Carmike’s Thoroughbred Theater in Cool Springs. It is incredible how God opened the door to allow His church to meet in the theater. For five years we set-up there every Sunday at 6:30 am, experienced two fantastic worship times, hosted ten theaters of children’s ministry, one coffee shop youth ministry and then we would break everything down to be out by noon. It was truly amazing, and each Sunday was a testimony to God’s grace and His provision. For our entire five years at the theatre, we never had a contract with Carmike, and God blessed and grew His church each and every week! In October of 2007, God called us to take a big Next Step as a church. We did not know where He was calling us, we just knew we were out-growing the theater, and God was calling us to a new chapter in our journey. On one Sunday, this young church, with an average age of 28, gave more than one million dollars. After we stepped out in faith, God revealed His amazing plans as we found the “WareHouse” – a place beyond our Wildest Dreams – with more than 146,000 sq. Feet of space, complete with three tenants to help offset our mortgage, sitting on 12.5 acres of prime real estate in the middle of our community. While the building is not the vision, it truly is an incredible tool to share the love and the grace of Christ with our community and our world! On October 11, 2009, we celebrated our first worship time in our new church home. And from that day to today, God continues to bring new guests weekly as we pursue His vision to, “reach out, grow up and give all” for His Name and His glory in our community. In January 2014, realizing that to reach more people for Christ we had to multiply, we took another big step as we open our second campus. Today, the Rolling Hills Nolensville Campus is thriving as we set up weekly at Nolensville Elementary School and reach this with the growing community in Nolensville. In January 2018, we once again stepped out in faith as we opened our third campus in Nashville on the campus of Belmont University. Our Belmont Heights campus, while young, has already made a significant impact on campus and in this community for Christ.